Firstly, we visited the port of Jacksonville yesterday, yes that’s right, just the port and nowhere else. There was a shuttle bus service again from the port to the town, but each return trip was nearly an hour. As there was only 4 buses laid on and our ticket number was thirteen (again) we weren’t called until just before 1pm…was it worth it we asked ourselves? And the reply from one of the returning passengers was a resounding NO. “They just took you to St John’s shopping mall,” we were told. So to cut a long story short, Jacksonville was not a resounding success, in fact no body actually got to the main city, except the few who paid huge amounts of money to get a taxi. So here we are in Port Canaveral…and were heading for the Kennedy Space Centre/Center to relive memories of our youth as we both followed mankind’s early ventures into space with great interest. Now can I just mention the mode of transport we used to get there? I had initially gone online before this trip to discover the best way of getting to KSC and there was a fair amount of discussion about the port’s main taxi service. There was quite a bit of criticism about the attitude of some of the drivers from 888 taxi’s and suggestions that their prices weren’t very competitive. So in advance I booked an alternative company, via e-mail, before we left. Twenty minutes after our scheduled pick-up time we had to concede that we’d been let down and had no other choice than to use the services of 888. Now I have to speak as I find. The controller at the port desk was very courteous and the price quoted was $10 more than the other company (but they hadn’t turned up anyway) He made a call and within a few minutes ‘Todd’ turned up. The car was clean, icy cold and roomy, Todd was polite and chatty and kept us entertained all the way to KSC. He gave us some advice about what to see there and, more importantly, how we could get the best from our visit, like where to sit on the bus etc. He dropped us near the entrance, we exchanged phone numbers and off we set. I don’t quite know how much to say about our visit because there were many surprises and even a couple of ‘Wow’ moments, which I wouldn’t like to spoil for anyone else visiting for the first time. Needless to say we had a great five hours at this incredible attraction and really enjoyed ourselves. 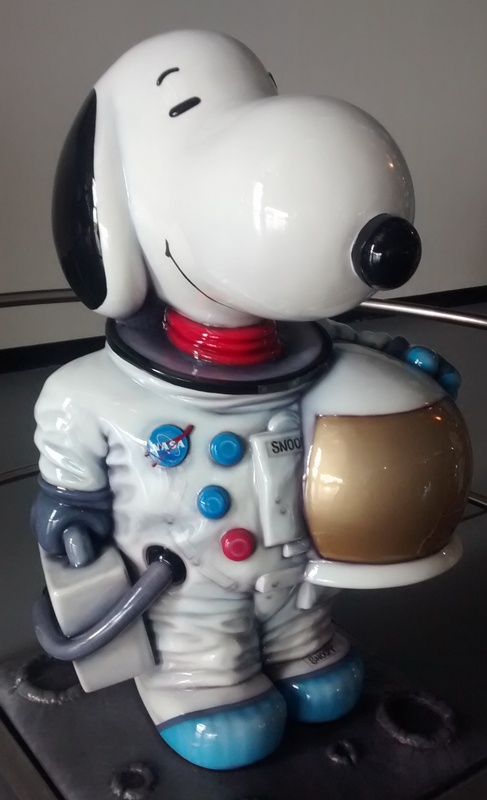 Briefly, the bus tour around the launch pads with a visit to the Saturn V rocket exhibition took about 2/2.5 hours. Sitting on the right hand side of the bus is the best position (on the right when facing forward) and keep your eyes peeled for the wildlife especially turtles and alligators. 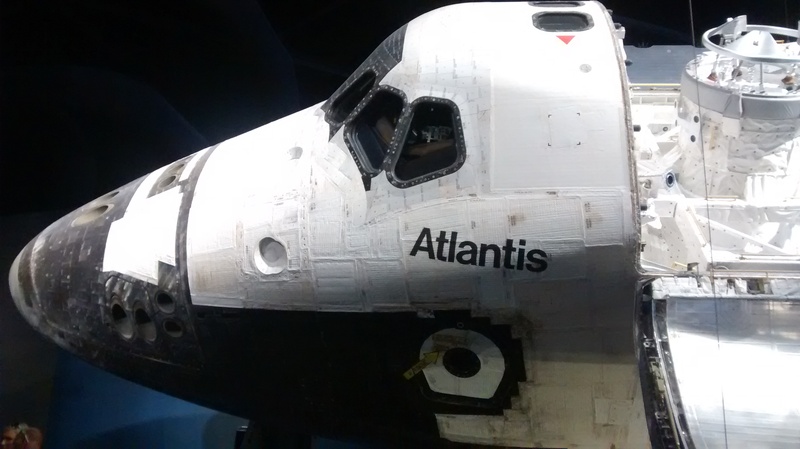 Visit the Atlantis Shuttle Experience and indulge in all the simulators…great fun. If there’s a queue then wait, it really is worth it. I was surprised how many people stepped out of line just because there was a ten to fifteen minute wait…big mistake. If you’re in the shuttle hall at certain times there is an opportunity to hear from genuine shuttle astronauts, very interesting. Of course there is always the souvenir shops as well full of the usual ‘how could I ever live without one of those’ paraphernalia. Imax shows several different films, so find out the times of each when you get there and plan accordingly. The one involving the mission to repair Hubble appears to be the most popular. 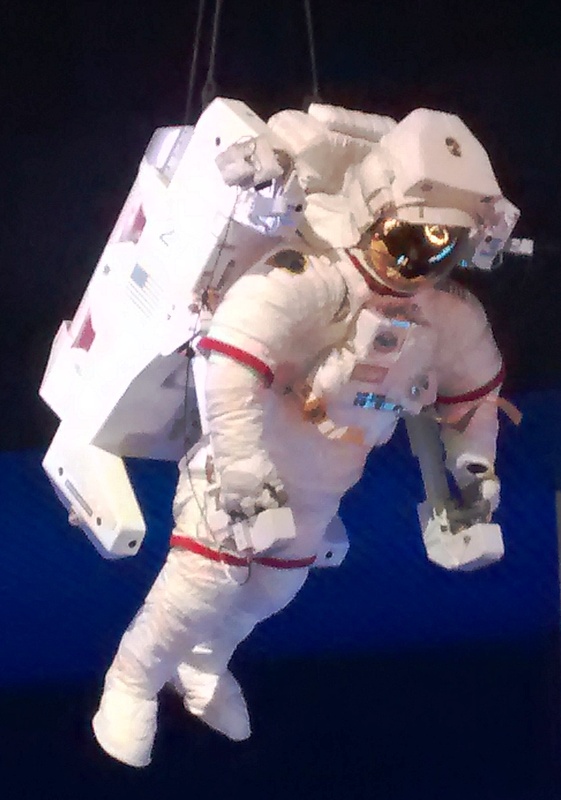 There are a few other things to do including the astronaut hall of fame and a launch simulator, but sadly we ran out of time. But we did sample a burger…very tasty. Todd from 888 was waiting in the car park at exactly the time we’d agreed, so I think there’s a lesson there…don’t believe everything you read in the online forums. Yes it may not be right that one particular taxi company seems to have the monopoly in a port, but then reliability might be a reason…who can say after just one visit. But as I said before, speak as you find and we found 888 taxis to be good, they did exactly what we needed them to do, at a fair price. We never got to visit Cocoa Beach, which is a shame as it was a beautiful day, but we did end up having a couple of beers in ‘The Cove’ just beyond the port…the food looked good as well, but there wasn’t time. All in all a very good day and given the chance we would definitely return.